Our records personnel are responsible for processing requests for field reports maintained by the Hortonville Police Department. Examples of field reports include traffic accident reports, traffic citations, municipal ordinance citations, and incident reports. Police records may be requested from the Hortonville Police Department in person, through the U.S. mail, or by telephone. Requests made in person may not be processed immediately. The Records personnel are available Monday through Friday, 7:00-3:30 M-Th, 7:00-1:00 Friday. Please use this form to create an Open Records Request. When requesting a record from the Hortonville Police Department, your request must include enough information for us to be able to locate the record. Examples of important information to include in your request are the following: date of incident; type of report; name(s) of people involved; location of incident; etc. 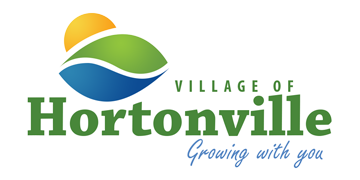 The Hortonville Police Department will make every effort to process requests for records within 10 business days of receiving the request. All requests for information will be processed in accordance with the State of Wisconsin Open Records Law and WI State statute 19.31-19.39.